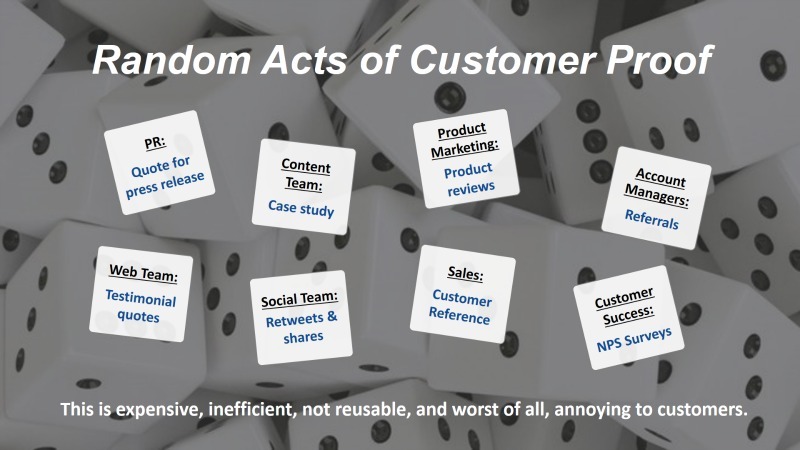 Our approach to customer engagement and evidence is so different from what most companies do today that you may need to unlearn some bad habits. You see, most companies do what I call Random Acts of Customer Proof. SlapFive takes a much more strategic, surgical, top-down approach to customer engagement and evidence. If you want to capture and unleash customer stories that have direct impact on revenue growth, you need to start by looking at your most important go-to-market strategies, initiatives, or campaigns, and align the stories you capture and unleash to them. We have a 3 step process for doing this, that sounds super-simple, and actually is not that hard to do, but it requires you to open up your mind to a new way of thinking about customer engagement, and forget those classic case studies, testimonials quotes, and reference programs. Of course, once you figure out what knowledge, advice, insights, and feedback you want to capture, you frame it as direct, surgical questions to ask customers. 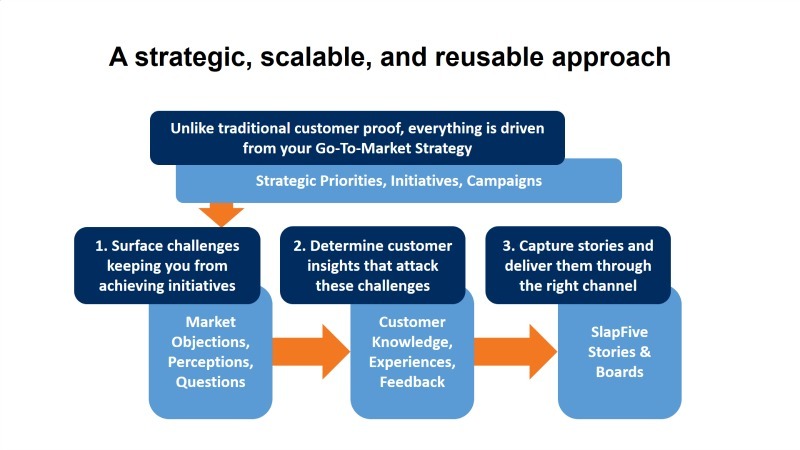 These are ways to capture customer stories. These are great use cases for customer stories. These are ways to deliver customer stories.